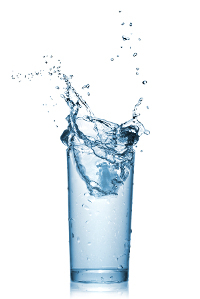 RainSoft water purifying systems are ideal for homeowners who want clean, great-tasting drinking water. Ever since our company was founded in 1953, we have dedicated ourselves to making water better for homeowners around the world. That commitment has helped us become a leader in the water purification industry, and has led us to create a truly impressive selection of cutting-edge drinking water systems. Ultrefiner II Premium Drinking Water Systems – This system filters your water on a molecular level, preventing even tiny particles and contaminants from making it into your drinking water. Installed underneath your kitchen sink, the Ultrefiner II passes water through multiple advanced carbon block filters and a reverse osmosis membrane to ensure that your water is as crisp and clean as possible. Hydrefiner Filtration Systems – Our Hydrefiner drinking water systems use a highly compressed carbon block filter to reduce the strong taste and odor of chlorine and other contaminants. Just like the Ultrefiner II, the Hydrefiner system also installs conveniently out of sight underneath your kitchen sink and is perfect for providing high-quality-water ideal for preparing coffee, tea, and delicious meals. Regardless of which option you select for your home, these products are excellent choices for removing the impurities that cause unwanted tastes or odors in your drinking water. To learn more about our drinking water purifying systems, or to inquire about our other state-of-the-art products, including water conditioners, air filtration systems, and whole house water filtration systems, contact RainSoft today.